Narnia began in 2006 with just one first grade class and each year since then we’ve added a new grade. Next year, for the first time, we will have a complete Slovak elementary school with grades 1-9. 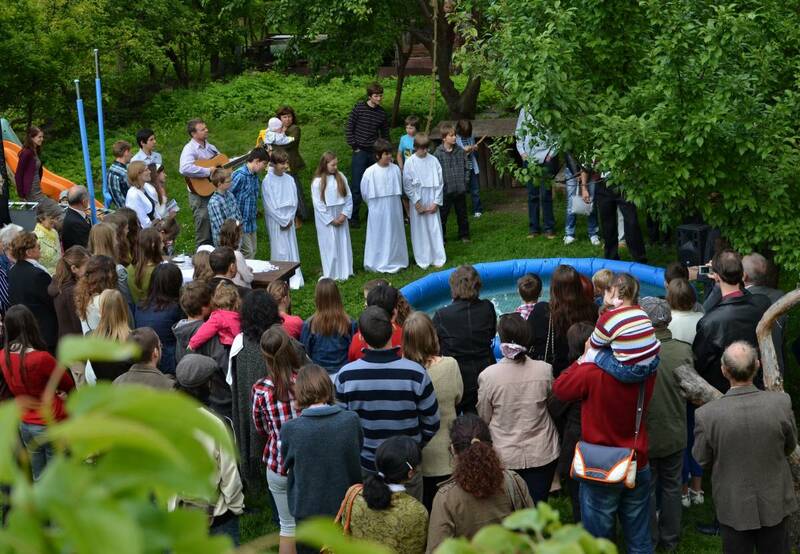 Last year was the first year that Narnia offered the baptism retreats. Almost ten kids decided to attend. Each one comes from a different background or is at a different point in their walk with Christ. Some are from unchurched homes, some were baptized as Catholics or Lutherans when they were infants, and some are from evangelical families. Some of the kids have already made decisions for Christ and some are still exploring their faith. No matter where they are, the retreats give each one the opportunity to explore their faith and think seriously about what it means to trust in Christ alone for salvation. After last year’s retreat, four kids decided to go through with baptism and two made a public profession to confirm their infant baptism. Each one of these six young people had the chance to share their testimony before our congregation. This year, about twenty kids are participating in the retreats. Please pray for them as they are in the process of some serious decision making. This is what Narnia is all about–helping these kids and their families understand the gospel so they can make the decision to accept God’s gift of salvation. And for us this year is especially exciting since Elisabeth is one of the students taking part in the retreats.